Pearl Jam announced that they will play a series of outdoor shows in November in Australia and New Zealand, in support of their new album, Backspacer. 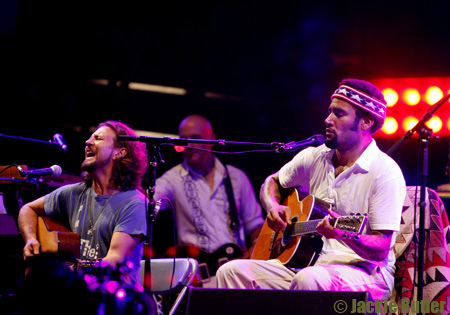 They’ll be returning to Australia for the first time in 3 years, bringing with them their old touring mates, Ben Harper and Relentless7 and Liam Finn, to play for one night only in Perth, Adelaide, Melbourne, Sydney, Brisbane, Auckland and Christchurch. Tickets for all shows are on sale! april 10th at the Arlington Theater in Santa Barbara. Click below for audio recording (many thanks to pjvedder)!